← Pourquoi la loi électorale présidentielle est obsolète et inadaptée. 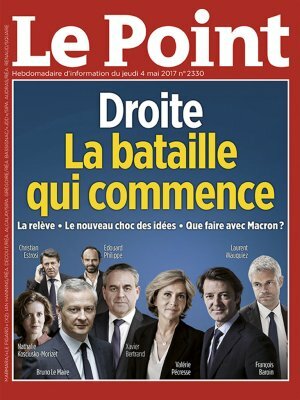 Ce contenu a été publié dans General, avec comme mot(s)-clé(s) Bilderberg, Elections présidentielles. Vous pouvez le mettre en favoris avec ce permalien. 7 réponses à Edouard Philippe Premier Ministre UMPS ! employees of Magic Leap. And what’s his trick? – an indifferent board of directors. Avinash Kaushik is known for his book, Web Analytics 2.0 & Web Analytics: An Hour A Day. « Occam’s Razor » is his blog, where he writes some of the best analyses, explanations, and analytical materials out there. From these posts, you’ll learn how to approach advanced analytics situations and take your data analysis to the next level from a true expert. General Assembly is an online resource offering classes, workshops, courses, and on « the most relevant skills of the 21st century. » Among them are a ton of data analysis classes for all levels, including introductory classes on fundamental modeling techniques and making meaning out of large data sets, and some more advanced classes on data analysis through SQL. Moz’s blog covers topics about inbound marketing and SEO — but if you dig into the « Analytics » tag specifically, you’ll find a ton of helpful articles about topics ranging from general best practices to instructions for conducting experiments and analyses with your data. I find the advice on here very actionable, and I think it’d be helpful for readers at every level.